How exactly does wildfire work? Why did our recent fires burn where they did? Once I was able to move out of emergency mode, as an educator and someone who is “science curious”, I wanted to learn more about wildfire. Here is what I have found out. 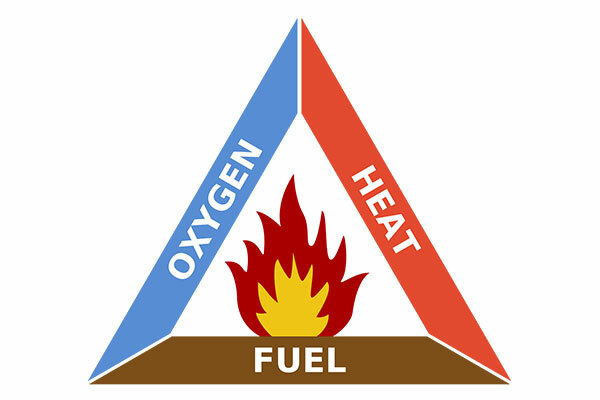 The Fire Triangle is a great way to visualize what is necessary for a fire to start. Heat, fuel, and oxygen in the right proportions are the required components. If any one of these three essentials is not present, fire cannot exist. Fuel is any type of material that can burn. In a wild land fire like the Tubbs Fire, fuel can be vegetation, branches, needles, snags, and unfortunately, human-built structures like houses. Heat is needed to start a fire, and is usually provided by an external source. It could be a lightning strike, or a human-based ignition source such as electrical wiring or arson. Oxygen, the third required component, is of course present in varying concentrations in the air we breathe. The National Park Service explains that Fire Behavior is influenced by a myriad of factors including weather and topography (the shape and features of the Earth’s surface), as these can affect parts of the fire triangle. The effects of these factors can be cumulative. In the top graph, you can see a big spike in maximum wind speed (the blue line) recorded in the early hours hours of October 9th by a Pepperwood weather station located at Bechtel House. The bottom graph shows how the relative humidity (the green line) did not rise—as it typically does overnight—on the night the fire started. As those of us who were in Sonoma County the night of the fire know, weather can be a major contributing factor. 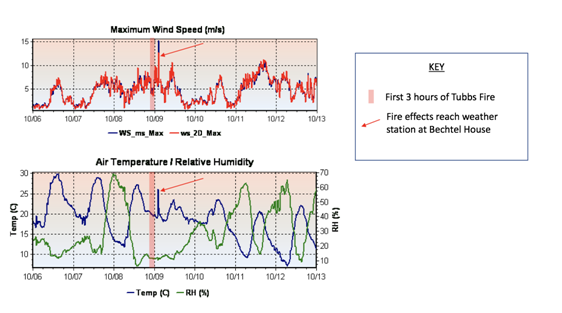 The night of the Tubbs Fire, we recorded wind speeds of up to 33 mph near Pepperwood’s Bechtel House. Though high, these speeds are not as high as some speeds recorded in other parts of Santa Rosa, possibly because our weather station is partially shielded by the adjacent hillside to the northeast. Wind brings fresh oxygen to a fire moving it toward a new fuel source. The ambient temperature can influence the temperature of the fuels. The temperature of the fuel can influence how easily it ignites. That night, temperatures remained in the high 60’s, a warm night for October. Humidity in the air can also influence fires. At lower humidity levels, fuels can become drier and ignite more easily. Usually at Pepperwood, we have recorded relative humidity going up at night. The evening before the fire, on October 7, we recorded relative humidity up at 70%. However, the night of the fire, on October 8, relative humidity stayed very low at around 15% all night—meaning the fuels were dry, warm and ignitable. The lay of the land can greatly influence fire behavior. Topography is one key aspect. As explained by the National Fire Protection Association, due to convection, the steeper the slope the quicker fire can move up a hillside. They go on to explain, “Slope increases the radiation and heat transfer up the slope.” Aspect can also influence fire behavior. Slopes facing the south are generally warmer and the vegetation can tend to be drier relative to vegetation found on north facing slopes. Canyons and ridges and even soil type can also influence fire behavior. These images show the progression of the Tubbs Fire at Pepperwood (preserve border outlined in green) beginning October 9th (top left) and ending on October 14th. Fires can be described using terms such as “fire intensity” and “fire severity“. Fire intensity is a measure of the energy released. 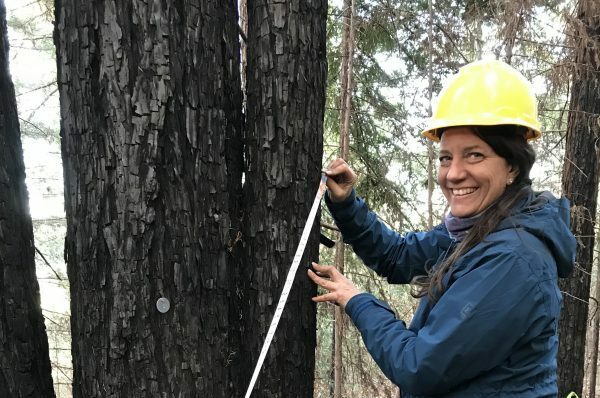 Fire severity can be measured in a number of ways, but it is usually related to what happened to areas that actually burned; the effects of fire on the ecosystem. Vegetation loss is one way to measure fire severity. Soil burn severity is another way to measure the fire severity. Fires can be described as having a low, moderate, or high severity. Many fires burn with a mosaic of severity, meaning they are patchy with areas of low severity directly next to areas with high severity. The Tubbs Fire is a good example of this. Pepperwood was affected by mixed severity fire with most of the preserve burning at low severity. How a fire spreads can be described by the terms “ground fire“, “surface fire”, and “crown fire“. A ground fire is often a slow moving fire that burns organic materials such as dead rotting leaves and roots actually in the ground. A surface fire spreads with a flaming front. It spreads from plant to plant, often along the soil surface and can burn leaf litter, fallen branches and other fuels located at ground level. A crown fire can spread quickly and move up into and between the top foliage of trees. All three types of spreading can happen in the same wildfire. View north from Pepperwood’s Three Tree Hill taken about two weeks after the fire first hit. 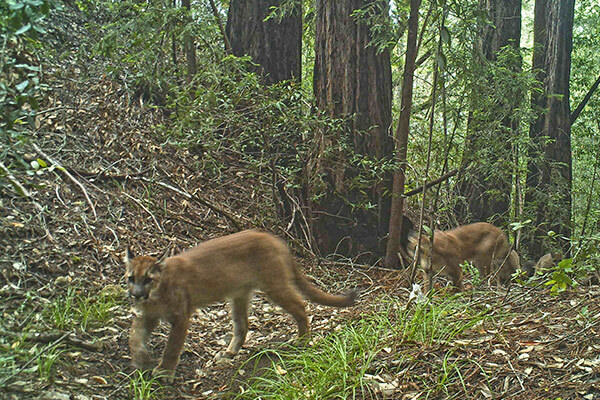 At Pepperwood our research scientists have been busy looking at how the Tubbs Fire has affected preserve ecology. They are reading the landscape for clues on how the fire moved (ground, surface or crown fire), how severe it was (low, moderate or high), and how our management for fuels may have influenced fire behavior. In the coming year and beyond they will be documenting how fire behavior affected our wildlife and the habitats they depend on, how hydrology is impacted post-fire and how the land and its residents recover over time. All this important data will inform how we move forward with stewarding the preserve, including how we can best utilize prescribed fire as an important wildfire prevention or alteration measure. I hope this brief summary will help readers better understand some of the reports coming out over the next few months. Stay tuned for my next article! This is a great series. Thank you for providing such valuable information. Thank you for taking the time to create this blog…I hope to share with my 13 yr. old daughter and 11 yr. old grand daughter. 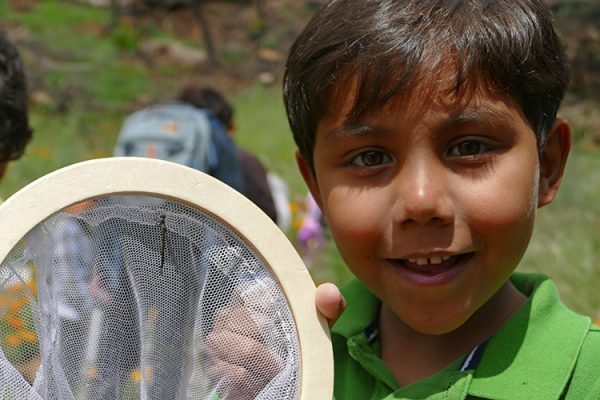 I appreciate you folks at The Pepperwood Preserve.